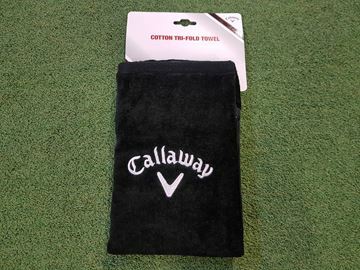 Cotton Callaway tri-fold towel in black. 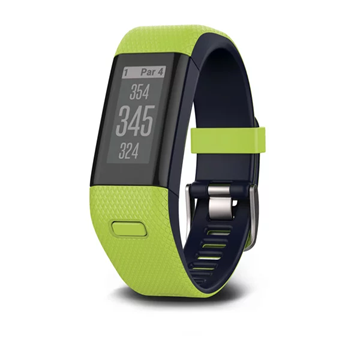 Comes with a carabiner to attach the towel to your bag. 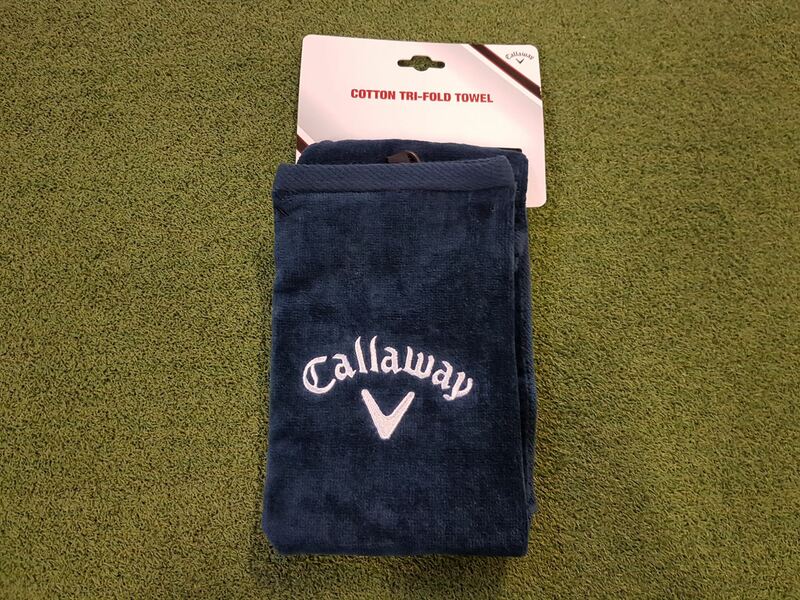 Keeps your hands and clubs dry. Cotton Callaway tri-fold towel in blue. Comes with a carabiner to attach the towel to your bag. Keeps your hands and clubs dry. Cotton Callaway tri-fold towel in grey. Comes with a carabiner to attach the towel to your bag. Keeps your hands and clubs dry. 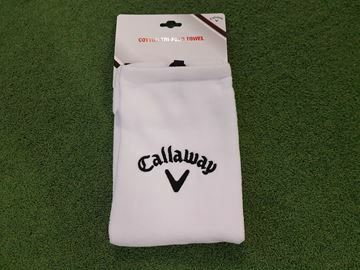 Cotton Callaway tri-fold towel in white. Comes with a carabiner to attach the towel to your bag. 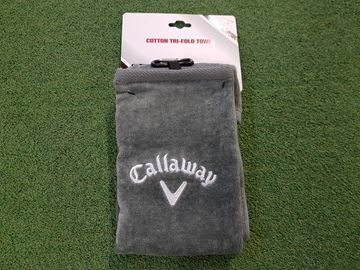 Keeps your hands and clubs dry.